Busoni was a child prodigy, a piano virtuoso, who was regarded as the successor to Liszt and even the superior of Rachmaninoff and Paderewski. He was also a composer, teacher, arranger, and philosopher. As a conductor he introduced the music of Debussy, Gabriel Faure, Sibelius, and Bartok to Berlin. He taught in both Europe and America, at the time of his death he was a Professor of Composition at the Academy of Arts in Berlin. His opera Dr. Faust, is considered to be a masterwork of our century. He also wrote essays about music, the most prophetic of which is "Sketch of a New Esthetic of Music" (1907). Busoni was a champion for anything new in art, opening his house in Berlin to young artists and composers from many countries. 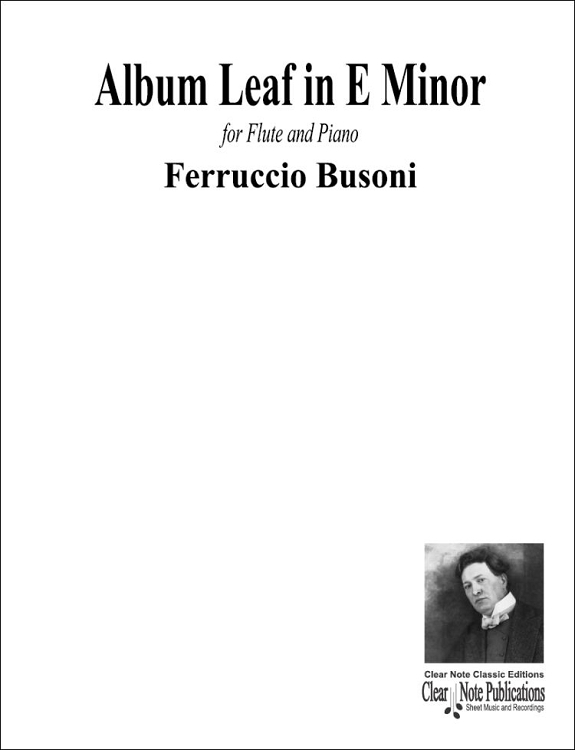 In his own compositions Busoni constructed new and unique scales to expand beyond the limitations of the traditional major and minor modes even experimenting with quarter tones. Formally speaking he was anti-Romantic, disliking the grandiose Wagner and regarding himself as a neoclassic composer. 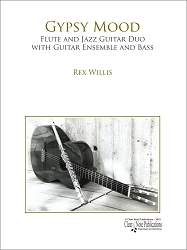 He often wrote for small ensembles eschewing extreme emotionalism. This particular chamber setting is fairly challenging for the flutist, mainly due to the chromatic passages, high range and frequent modulations. Album Leaf is dramatically shaped and very satisfying to hear and play. 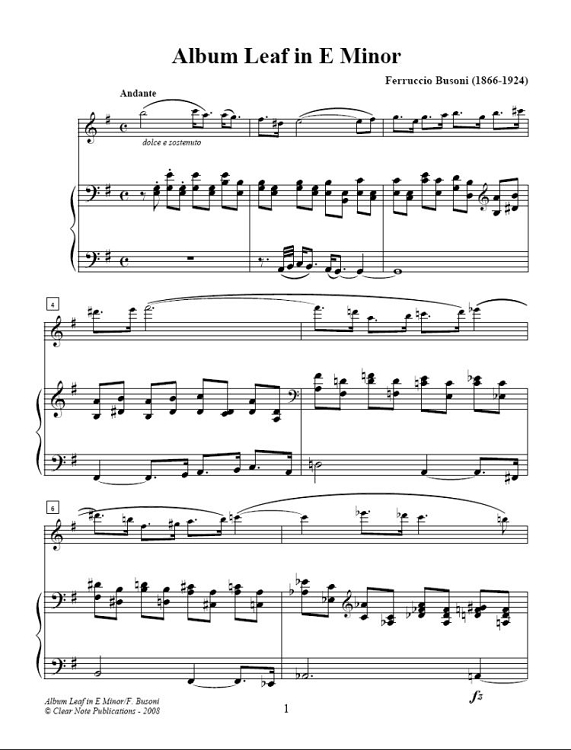 The work ends nicely by winding down through a descending melody accompanied by the piano with floating sextuplets.